I have always loved to read. When I was little, my mom could put me next to my bookshelf and expect me to flip through picture books for ages. I still love to read, and I could spend hours in Barnes and Noble browsing through the store. I don't read as much as I used to, simply because I either don't have time, or I don't want to after having to read and do work for school. I usually tend to read A LOT in the summer. Since it is winter break, I have tried to do some reading, especially since I have been snowed in in New England's negative temperatures and heavy snowfall recently. 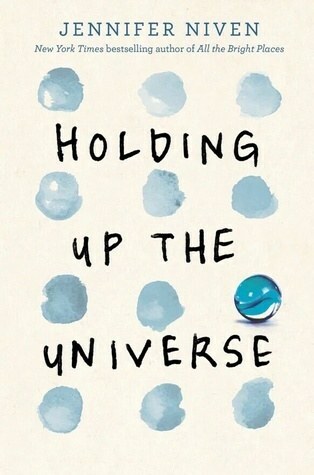 Currently I am reading John Green's new book, Turtles All The Way Down. My favorite books are contemporary young adult books. 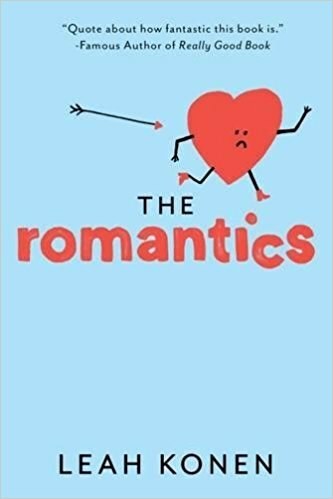 Usually they are romance based or have to do with surviving high school drama. Sometimes they are cheesy, but they are always cheesy in a good way. I know if my senior year AP Lit teacher caught me reading these he probably would poke his eyes out, but I personally love these novels. 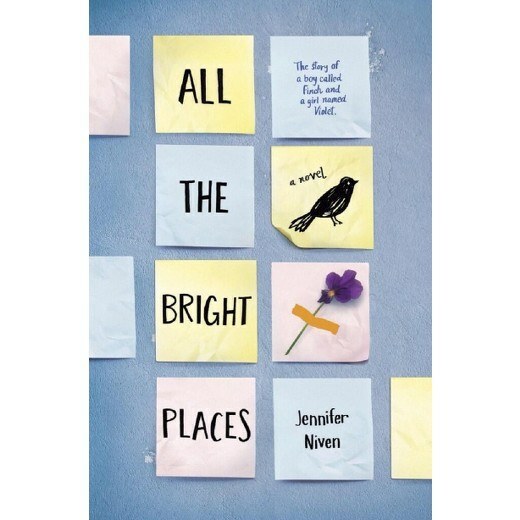 If you are a fan of these types of novels, but have already read every John Green or Nicholas Sparks book out there, these are some great ones to read. 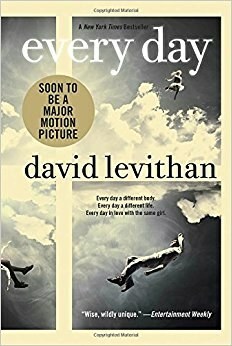 Not all of them come close to John Green's genius masterpieces, but some of them will give you the same feels of TFIOS or Paper Towns. 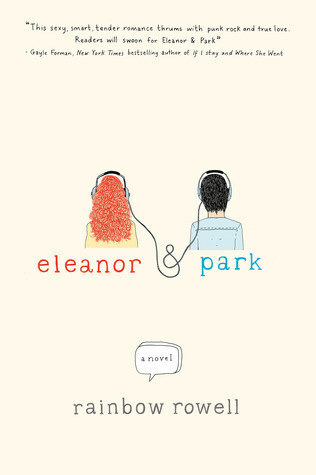 This novel is a heartwarming story of a high schooler named Eleanor, who is made fun of for her messy hair, strange clothes and misfit persona. When Park allows her to sit with him on the bus, he eventually befriends Eleanor and finds out what she goes through at home. Together, they embrace their insecurities and their friendship blooms into a more romantic relationship. I loved the message about never knowing what people are going through. Two people who are unlikely to ever talk to each other meet at the top of their school, considering the jump to end their lives. After talking each other out of it, the two unexpected friends wander through their state for a school project and discover a lot about themselves. Libby is hoping to start fresh coming back to school after a few years in hiding for being called "America's Fattest Teen." But after a quarrel with a bully, Jack, they are forced to work together for community service and group counseling. Libby learns Jack's big secret and although unexpected, the two are able to make up (probably even more than what people expected). Don't let this Kelly Clarkson sounding title fool you. 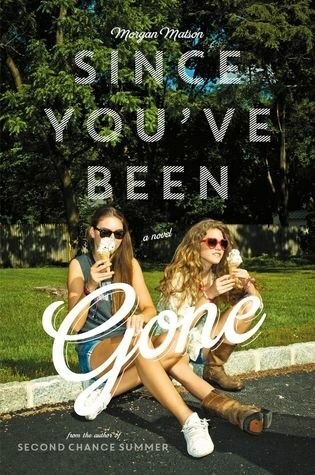 Emily's best friend, Sloane, suddenly disappears without any notice in the summer. She leaves Emily with a to-do list of crazy things Emily would never do, especially without Sloane by her side. But she wonders if completing the tasks will somehow lead her to her missing friends. With funny tasks and a spark of romance along the way, I absolutely love this adventure. Morgan Matson has a few other books on my shelf I am hoping to read. 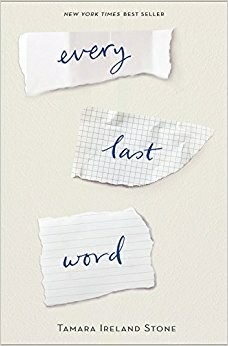 A girl struggling with OCD and finding friends that truly care about her leads her to the school's secret poetry society. 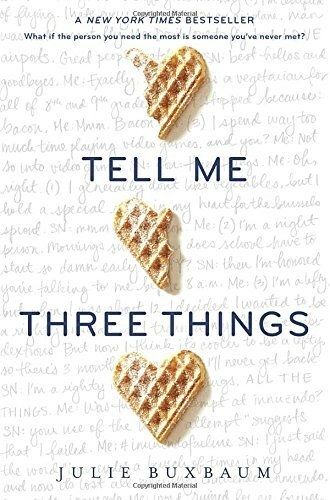 Poetry allows her to learn how to understand herself, meet new people (including a mysterious boy she has a crush on), and conquer her controlling thoughts. 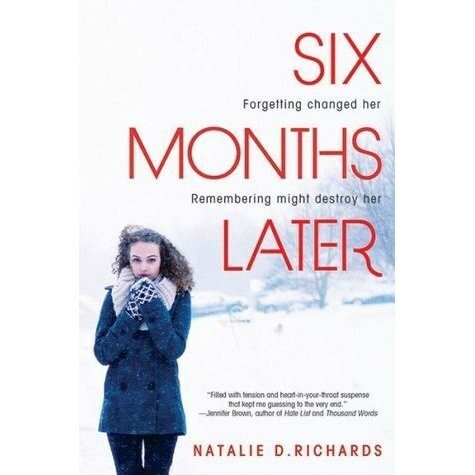 Although the book was a bit cheesy at times, I really liked following the perspective of a girl with OCD. I think it's fascinating to learn how a mental illness really controls someone's life and mindset. This novel, soon to be a movie, is about a person (or spirit?) called A, who wakes up in a different body every day. A boy. A girl. A child. An elderly person. But after meeting a girl in one of the bodies, A tries to find a way to be with this girl, despite living in different bodies in different places. 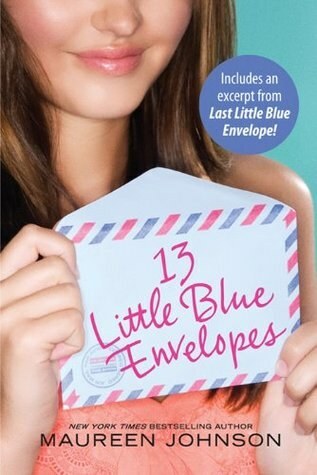 Sophie and her brother are sent to Paris to be with their dad for the summer. The problem? Well a) they haven't seen their father in years because he left them b) their father is remarrying c) the stepsister hates Sophie and d) Sophie is unable to be with her best friend or spend as much time as she hoped practicing her piano for school auditions. But after her stepmother's friend and her friend's son help Sophie with her piano dreams, the summer starts to turn around. 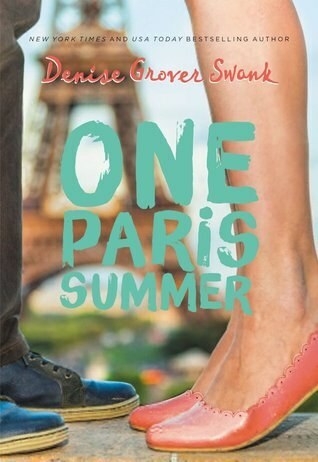 I love this summery, Paris story of a girl following her dreams. After Jessie's mother dies, she lives with her newly wed father and attends a prep school in LA. The first few weeks are hell, but soon she receives emails from someone anonymous, willing to help her understand how to fit in and understand people at the new school. Jessie learns how to start fresh and narrows down who could be this secret emailer. On the surface, Anika is the superficial, popular girl, but on the inside she is a freak. 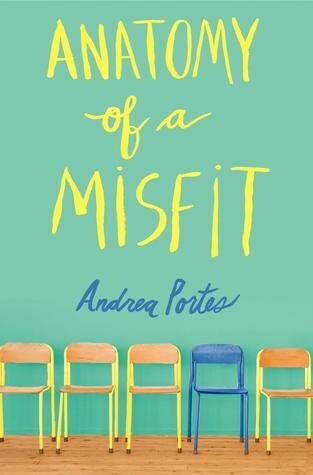 When she is interested in a boy who is not popular and is off limits, she has to decide whether or not she will embrace her inner weird and learn more about this boy, or stick to being one of the Queen Bees. This book goes along with two of the themes in most of these books. Either a) being popular and realizing that it is unfulfilling or b) falling in love with someone unexpected. But despite following these typical plots, I really enjoyed following the decisions of Anika in finding out what she really wants. Gael is facing heartbreak and his parent's divorce simultaneously. Never a good mix with an already angsty teen. But then he finds a rebound and his heart is starting to mend. What I love about this book and what makes it so unique is that the story's narrator is Gael's heart. And let me tell you, his heart is hilarious, trying to steer him certain directions and making jokes about teen love. Ginny receives a letter from her Aunt Peg, who passed away. Included are instructions for an adventure across Europe, with only a backpack, to find her other letters (and of course she meets some people along the way). I read this book a few years ago, and I love the travel aspect of the book since I would love to travel around Europe one day. There is Sutter - the partier, the popular kid, the charmer, the guy who probably won't end up going to college. Then there is Aimee - the social disaster, the nobody, the quiet and innocent girl. When Sutter meets Aimee after a night of partying, he decides to help Aimee with her social status. Along the way, he realizes that Aimee is truly special. 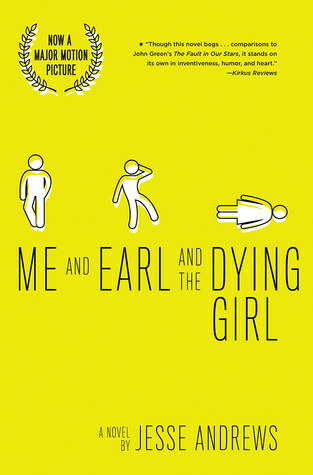 And once again the popular guy and the misfit girl end up more than acquaintances. Cliche. Cheesy. But so good. Oh, and there is a pretty good movie too! 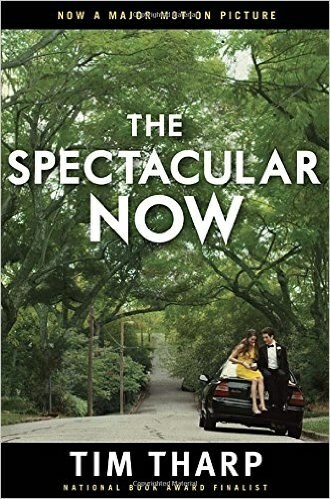 This novel follow's Charlie's journey through high school. Charlie is strange, but luckily he finds a group of friends willing to take him in and explain to him the many experiences of adolescence and adulthood. Charlie's character is super fascinating and his awkward, innocent personality makes you feel for him as he goes through high school. This is also a great movie. Greg is awkward. He has only one good friend in high school, Earl. In his senior year, Greg and Earl do what they do best, make awful stop motion and poorly acted short films. Greg's mom tells him that a girl in his grade has cancer and forces him to visit her. Greg decides to make her a film, a difficult task to complete considering she was getting worse and worse. 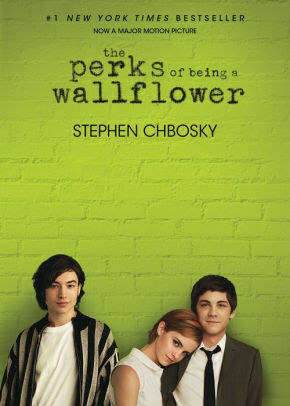 This is a sad, but heartwarming book and movie. I think Greg's character development is an interesting one. Chloe falls asleep in study hall in May but wakes up 6 months later. She doesn't remember anything about the past months, and all of a sudden her whole world is different. Her friends. Her boyfriend. Her grades. She tries to mend the changes and figure out how everything came to be. The idea for this story was pretty crazy and unrealistic, but the reason I liked it was the actual mystery of it which was unexpected. I encourage everyone to pick up a book whether you are sitting by the beach, stuck in a power outage, or simply have time to over break. Many people do not like to read and usually it is because they are forced to, but if you find a book that you truly enjoy, reading can be the most relaxing and fun pastime.